77 Squadron was formed on 1st October 1916 at Edinburgh within the Royal Flying Corps (RFC). It was conceived as a Scottish home defence unit, in response to growing concerns that Zeppelin raids were now extending their targets to the north-east of England and into Scotland. Edinburgh itself had been attacked by Zeppelins on 2nd/3rd April 1916 and 13 people had been killed, so the unit’s particular remit was to be the Firth of Forth area. It was at first equipped with BE2c, BE2e, BE12 and BE12B single engine “fighter” aircraft. The squadron’s first Commanding Officer was Maj W Milne MC, who assumed command on 10th October 1916. Milne had been a Flight Commander on FE2bs with 25 Squadron in France in 1916. He had achieved one of that unit’s very earliest aerial combat victories on 17th May, but the action had left him wounded. To provide defensive patrolling, whilst its HQ remained in the capital, detachments were quickly formed at nearby Turnhouse, at Whiteburn (Grant’s House) and at New Haggerston near Berwick-upon-Tweed. This left the squadron’s bases spread over some 50 miles. The aircraft coming on in strength in these early months were BE2c, BE2d and BE2e two-seaters. 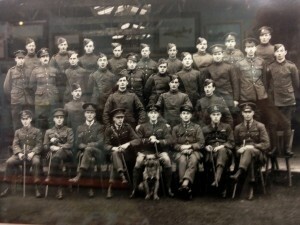 In common with many other units charged with home defence, the squadron also had a remit to train personnel, typically using their night patrolling duties to practice and develop night-flying skills. Day-time training would have been occurring as well. It was in a BE2c, possiby on a training flight, in which the first really serious mishap befell the squadron, when its Commander, Major Milne, along with his passenger Lt GEC Collinson, were killed in a crash on 13th April 1917. Very little is known about what happened. It occurred on the day it is thought the unit were making a move to Turnhouse, so the pair may have been on a travelling flight. Milne was quickly replaced by an individual genuinely significant in the early history of aviation: Maj KR van der Spuy MC. This South African, who would eventually become a Major General in the inter-war years, had begun flying in early 1914 in his native country. He was one of six original South Africans sent to England that Spring to complete their flying training and was the first South African ever to qualify as a military pilot, on 2nd June 1914. 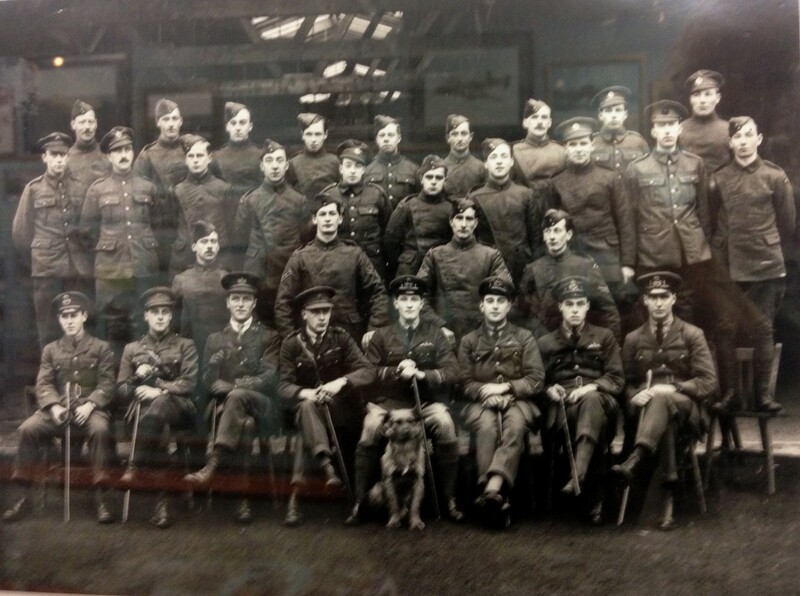 On the outbreak of war he managed to attach himself to 2 Sqn RFC when this unit went to France in August 1914. Recalled home in early 1915 he was a founding pilot of the South African Aviation Corps which soon went to German East Africa. He flew its first reconnaissance on 6th May 1915. He was back in England for the formation of 26 (South African) Sqn in late 1915 and then flew with distinction for this unit in East Africa. His first command was 77 Squadron back in the United Kingdom, which he nurtured and developed through the summer of 1917. In July 1917 the machines at New Haggerston moved on to Penston, where the other Flights would eventually amalgamate in January 1918. This airfield, to the east of Edinburgh, was to be the unit’s home for the next 18 months. Defensive patrolling and practice night flying continued, this often dangerous work resulting in the odd crash, including a fatal one on July 26th 1917 when Sgt GR Ellis in BE2e A8671 fell into a spinning nose dive after stalling on a turn and crashed. He had been practising his night flying. Another machine crashed the same day. An airman was injured in an accident in September and another fatality occurred on November 14th when 2Lt E Hughes in BE2e 4011 collided in the air with a Sopwith Camel from 73 Training Sqn and both airmen were killed. 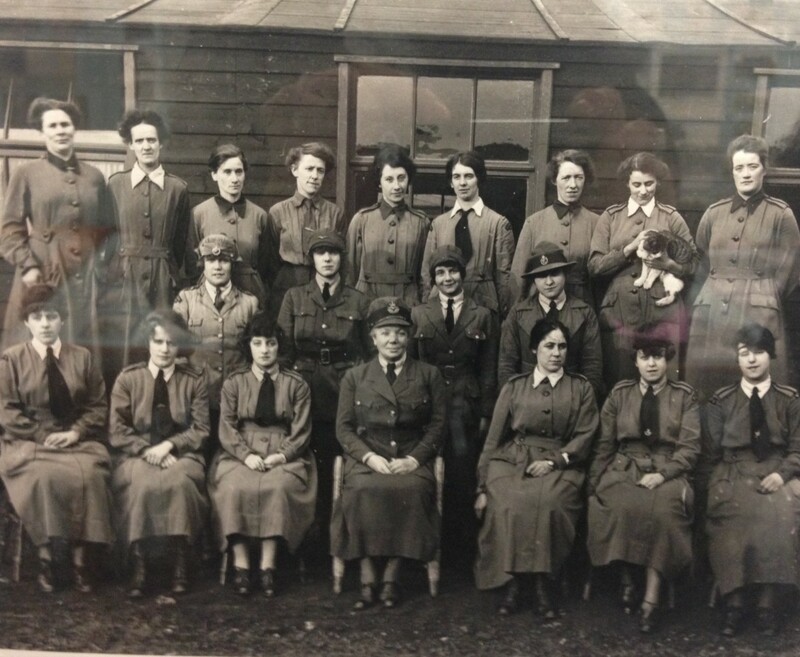 When IV Brigade had been formed in October 1917 to command the Home Defence units 77 Squadron found itself in 46th Home Defence Wing. Maj van der Spuy had been replaced by Maj A Somervail on 1 September 1917 and this new commander would see the unit through to the end of the war and beyond, and lead its conversion to a new role: that of a night fighter squadron. It cannot be said that 77 Squadron was particularly active in its home defence role – the logging of defence sorties for the unit is, in truth, completely negligible. It really has to be seen as a training unit in all but name, although it did also supply some artillery co-operation flights in association with the Forth Garrison. And yet it was to take on quite a unique training role which it blended with its specialisation in night flying. 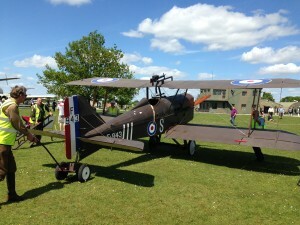 From early 1918 it began to equip with BE12s and BE12B single-seat fighters. The really unusual companions to these, however, were Avro 504Ks converted to single-seater night fighters. This was achieved by fairing over the front cockpit and fitting a Lewis gun over the centre section and mounted on a semi-circular sliding Foster gun mount. Given a Le Rhone rotary engine this configuration could usefully reach 18,000 feet. The Northern Group home defence units, it was decided, would receive these conversions. Quite apart from its performance and ceiling comfortably outpacing the FE2b which a number of HD units had been using, it was the facility this machine now gave night flying pilots to train with a rotary engine which made it such an invaluable stepping stone towards flying the Sopwith Camel. It was the Camel which would spearhead night fighting in France in 1918. By September 1918, 77 Squadron was re-equipped with the single-seater AVRO 504k aircraft, modified for night fighting. Until that time they had continued to operate diminishing numbers of BE2 types as trainers, evidenced by the only fatality the unit suffered in 1918 and which occurred on 17th March. 2nd Lt A Ball got into a flat spin at 400 feet in BE2e A1388 and was killed in the crash which followed. There were a couple of other crashes in the Spring – all on BE2es – but never one in an Avro. This bears witness to its reputation as a superb trainer. It is commonly held that the 504J/K type was the finest training aircraft of the war. 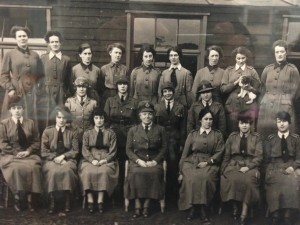 In April 1918, following the formation of the Royal Air Force, the Squadron moved to Penston (Macmerry) airfield, east of Edinburgh, where it was disbanded on 13th June 1919. It would re-emerge as a bomber squadron at Finningley on 14 June 1937. 77 Squadron aircraft carried no unit markings in 1916-1919. Much of the text of this article was provided by Trevor Henshaw in 2008.